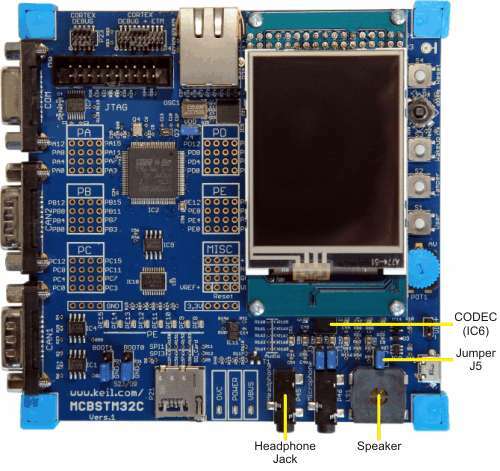 The MCBSTM32C board includes a speaker controlled by the low power stereo CODEC amplifier (IC6). Jumper J5 controls speaker and headphone output from the CODEC amplifier. Installing Jumper J5 enables the speaker and disables the headphone jack. Removing Jumper J5 disables the speaker and enables the headphone jack.